We here at Mia’s Closet want to thank you for your continued support, update you on what we’ve done, and where we’re headed. Last shot from our Prom with Mia’s Closet Workshop 2016! What a great day! March and April were amazing for Mia’s Closet. We ended up having over 200 dressesdonated for our prom giveaway, and more are still coming in! We also threw a prom workshop, where we were able to help young men and women prepare for prom by getting them formalwear, handling their makeup and hair, and giving them tips for looking the best for their prom. We are incredibly thankful to Ronin House for hosting the workshop. Houston Community College: thanks for your generous donations of gowns, suits, and shoes! 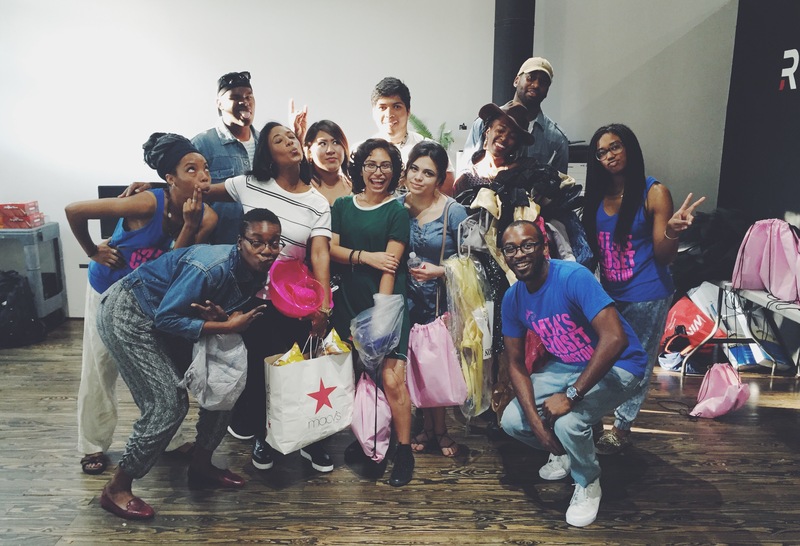 The Giving Gown: thanks for providing swag bags and dresses! Comet Cleaners in Royal Oaks: thanks so much for helping to keep the formalwear in tip top shape! And last, but not least, The Paul Mitchell School of Houston for being the official glam squad! We cannot thank you all enough for your continued commitment to and investment in the lives of young Houstonians! On May 20th, Mia’s Closet turns 5! Join us at the 4104 Fannin St. Houston, TX for a Wedding Crashers party! Come dressed to the nines and be prepared to have a wonderful time! Tickets are $25, and all ticket proceeds will go to continuing Mia’s Closet’s mission of instilling confidence in the lives of underserved kids k-12. Be there: you’ll be sure to have a wonderful time! We’re excited about this year, and hope to continue the work of instilling confidence and developing lasting relationships with Houston’s young people. As we continue our work this year, the board members here at Mia’s Closet simply want to say that thank you for your continued support. If you can, we would love it if you could support us with a donation (or continued giving! ), and you can do this via theMia’s Closet website. We are in dire need of a storage facitlity! Any amount is welcome. April brought its showers, and Mia’s Closet was showered with generous donations. Thanks to each and every one of you who believe in the mission. Your continued efforts make it possible for us to continue creating spaces for our Houston youth to thrive and succeed. As we continue in this year, we hope that you’ll continue your support. « Mia’s Closet Kids Fashion Show Fundraiser!